Warren Lester Broyles, 86, of Liberty, passed away October 8, 2018. Visitation will be held from 1:00-1:45 pm on Friday, October 12, at Park Lawn Northland Chapel, Liberty. Graveside service will follow at 2:00 pm at Resurrection Cemetery. Warren was born April 28, 1932 in Kansas City, MO. Along with his parents, Johnathan Matthew and Florence E. Broyles, Warren was preceded in death by a step son, Ed Daily; and a brother. Warren served in the US Army (First platoon of Co "A" 29th Arm'd Inf. Rn. CCR 3 Arm'd Div) from 1950 to 1953 during the Korean conflict. He was a retired officer for the Parkville Police Department and later worked for MODOT. 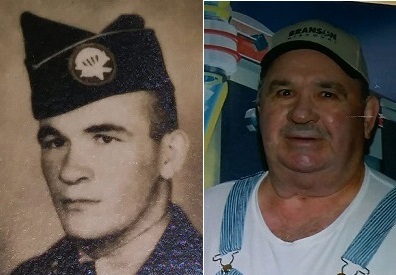 He enjoyed serving his city, hunting (especially turkey), fishing, camping, parachuting and trips to Branson with Bernice. Survivors include his wife, Bernice Florence Broyles; daughter, Cynthia Azar; grandchildren, Rebecca, Jonathan, Kimberly, Douglas and Terrance Chambers; great grandchildren, Tucker, Kasey, Jordyn, Benjamin, and another great grandson due in January, 2019. He also leaves Bernice's children, Diane Curtis, Denise Daily, Martin Daily, Eileen Pfeffer and Paul Daily and their families.